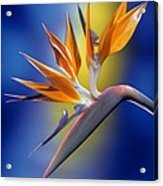 Bird of paradise in full bloom against a surreal cobalt & canary colored background. 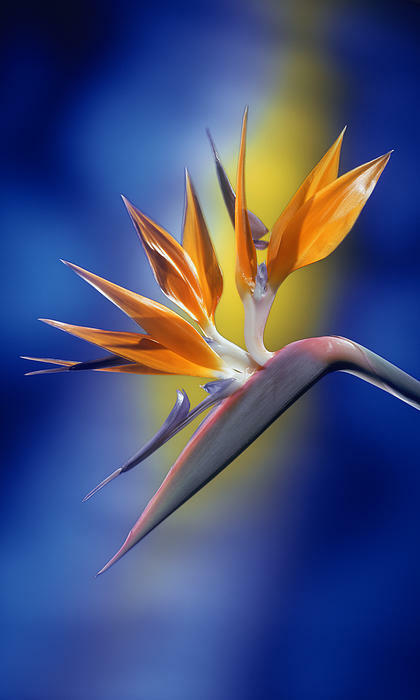 This floral image was created with special finesse lighting and exposure in the studio. 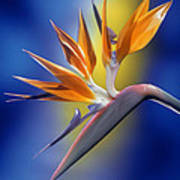 My work is created the "old school" analog way, just lights, camera & film; absolutely no digital manipulation whatsoever. 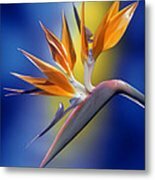 This art piece is part of a very limited edition of 60 signed and numbered pieces printed on the metallic, luminous and archival cibachrome or fujiflex and flush or float mounted on brushed aluminum metal plate. There are less than 20 pieces left available in the limited edition.